... skeptical? Just scroll down to view the finished results. is a great starter quilt. You can quickly see how the placement of the blocks in relation to each other forms a beautiful design. Take it one step further and see how the choice of colors compliment each other. Now enhance it with a simple border to tie it all together. You can very easily make a beautiful baby shower quilt in no time at all. are great quilt ideas. This is a "turn under and stitch" method. The very small needle and thread is all that is needed. Applique piecework utilizes small pieces of fabric and is a good choice for using fabric scraps. 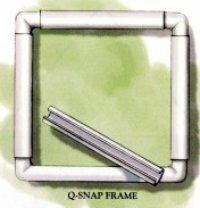 Quilters are mostly self-taught stitchers and don't seem to have a problem grasping this technique. The art of applique work with its traditional emphasis on the thrifty use of fabrics and designs has attracted practitioners in a steady stream from colonial days to the present. 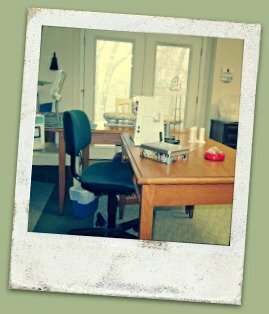 Growing up, mother quilted and I'll bet yours did too! It was a given that everybody's grandmother made quilts. The art is a pleasurable pastime and very addictive. 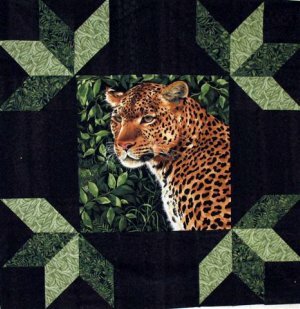 Quilt ideas do not have to represent things realistically. By definition the art of piecing a quilt can be a unique quilt idea that no one else has thought of. You can tuck a few supplies in a bag and take your project with you to busy your hands while traveling or watching your favorite show on television. The simplicity of an Amish quilt makes it a good choice for a beginner. If ever quilts make a statement, it is the Amish Quilt Pattern that do just that. 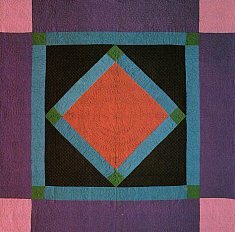 Just by studying the quilt block you understand that the person who made the quilt was methodical, simple and uncomplicated. 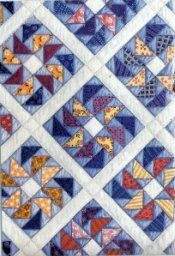 There is very little emphasis put on piecing a quilt but the Amish ladies will always embellish the quilt with tiny hand stitches unmatched by any other group of quilters. Imagine, twenty hand stitches to the inch. 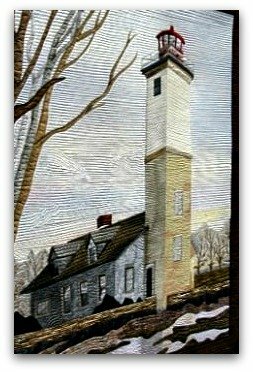 That's what an experienced Amish quilter does and their hand stitching is the most recognized aspect of any one group of quilters. Flying Geese is a popular easy quilt idea in the world of quilting. 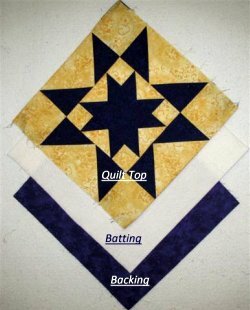 It's very versatile and can be found in many quilt designs for beginners. 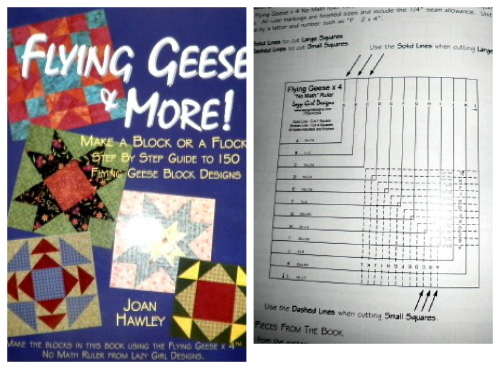 Get yourself a good book on how to make flying geese blocks. She also introduces a special ruler (FGX4) designed for beginners to help you cut the half square triangles just perfect. Half square triangles are nothing more than two flying geese joined. 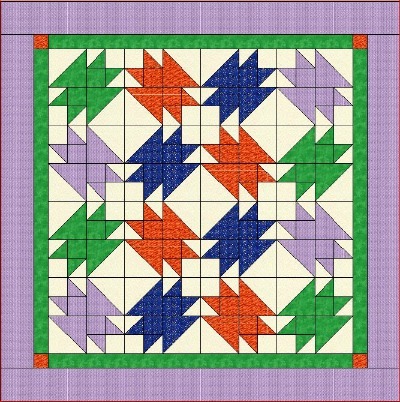 It seems these triangle squares are used in every combination imaginable to create an endless variety of quilt ideas. 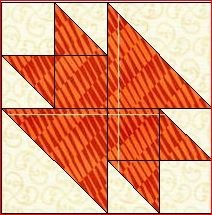 You can slice and sew them; use the layered-squares method; use the strip-set method; use the grid-method; or use quarter-square triangles. All this sounds complicated but actually the flying geese is a good choice for an easy quilt. 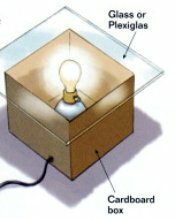 Ever wonder where the name Log Cabin quilts came from? Traditionally, the center square of each log cabin block is a red or warm-colored square, representing the hearth in the cabin. The light strips around the red square represents the fire and dark strips represent the shadows surrounding the hearth. The early pioneers made the Log Cabin Quilt Pattern popular and most homes had several. that is written so anyone can be successful when making this quilt. 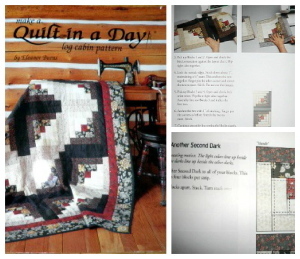 You will also find a few more Easy Quilt Patterns on our sales page. 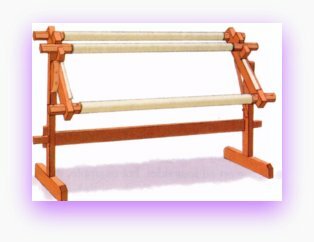 Here we have a page dedicated to several log cabin block patterns as well as many others designs. We think you will enjoy our patterns that is priced very reasonable. Take a look! These quilt ideas will help you discover the pleasure of quilting. By using an assembly-line technique to sew short pieces of fabric together to form a long piece the technique makes the job go fast; but not boring as you have to stay sharp when assembling the colors. (also called Radiant Star) has been around since the beginning of the nineteenth century. 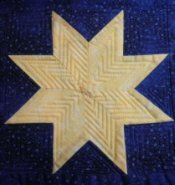 It is often called the Texas Star, or Star of Bethlehem but no matter what you call it, it is fun to plan, fairly easy to piece and can show case your quilting talents. Once you make a Lone Star Quilt you will be hooked. It's one of those quilts that demands perfection and you will find yourself making several in order to prove it can be done. There is a minimum of two bias sides for each diamond and there are up to 288 of these puppies, diamonds that is. 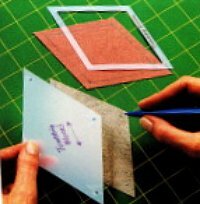 For more insight on coping with strips cut on the bias you must learn how to control the stretch and develop accuracy in cutting and piecing. But this is true before attempting any quilt. We show you how when using our FREE Lone Star Quilt Pattern. The strip sewing technique, as used in a log cabin quilt, allows beginners to try this Lone Star. 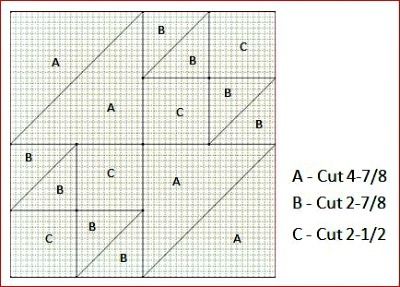 Before Eleanor Burns introduced her no fail method, called Correcting the Cut, this pattern was thought to be too difficult for even the experienced. But today the techniques have improved and it is definitely doable. For sure a Great Quilt Idea. 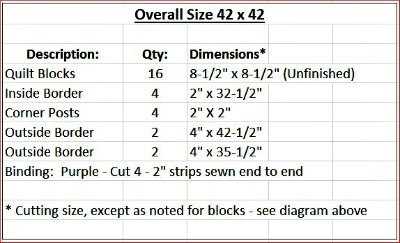 With out belaboring the fact that we do have quite a few beginner level quilt patterns we want you to know that they are free for the taking. Quilt making requires considerable time and effort but we love being creative and passing it on. When someone asks for a special pattern we try to accommodate! Any donation is appreciated to help cover our out of pocket expenses. We hope you enjoy this web site written especially written at a level that allows you to learn as you progress.